Mixed reaction poured in Friday after Jason Van Dyke was sentenced to six years and nine months in the shooting death of Laquan McDonald. "I want to say to everyone, everyone in the city of Chicago and across this country, that if they had sentenced him to one minute, it is a victory,” said McDonald’s great uncle Marvin Hunter. “It is a victory because what has happened in this courtroom today has never happened in the history of this county, and it sets a precedent and it sends a strong message to unjust police officers that now you can and will go to jail if you're caught lying, if you're caught breaking the law." "We are being treated like second-class citizens here in the city of Chicago," he said, adding the sentence "reduced Laquan McDonald's life to a second-class citizen." Mixed reaction poured in Friday after Jason Van Dyke was sentenced to six years and nine months in the shooting death of Laquan McDonald. Patrick Fazio reports. Van Dyke's defense, calling the case "emotionally draining," said they are "happy with the sentence." "We certainly wanted probation," said attorney Dan Herbert. Herbert said Van Dyke "truly felt great" after learning his sentence. "It was the first time I've seen the guy, honestly since this whole ordeal started, where he was happy," Herbert said. "He's certianly not happy about jail, he's certainly not happy about missing his family, he's happy about the prospect of life ahead of him." Special prosecutor Joseph McMahon said the case was a “tragedy” from the beginning. "We know that no sentence will bring back Laquan McDonald or undo the hurt to his family and friends,” McMahon said. “Just like no sentence will fix the concerns of the African-American community in this city, cities like Aurora, cities like Elgin and Rockford and across this country." Activist William Calloway, who was instrumental in the revelation of the video of McDonald’s death, said he was “devastated” by the sentence. “He got 81 months,” he added. “That's a slap in the face to us and a slap on the wrist to him. Mayor Rahm Emanuel and Chicago police Supt. Eddie Johnson released a statement observing the end of the lengthy legal procedure—but saying little about the sentencing itself. 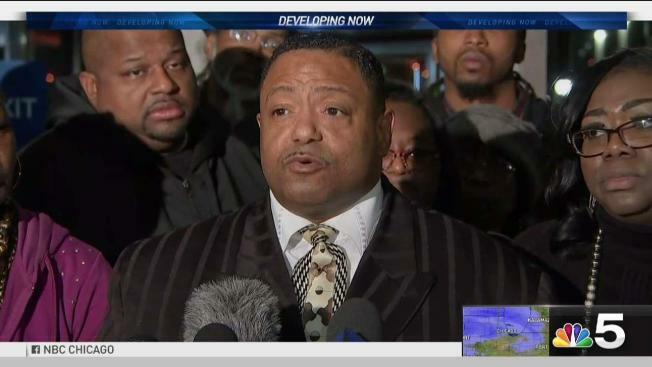 Other mayoral candidates were quick to issue statements as well--including former police Supt. Garry McCarthy. He said the diversity of American should make its citizens stronger, not pull them apart. "We must stop the polarization that exists in this city if we are to move forward," said. "We must view each other as human beings, not by our skin color, race, national origin, gender, age, occupation, sexual orientation, language, religion, or political affiliation. We need to come together as a society." Susana Mendoza also issued a statement. Amara Enyia said a “unique sympathy and bias” is evident when police are put through Chicago’s justice system. Mayoral candidate and Cook County Board President Toni Preckwinkle said the justice system failed “all of our Black and Brown communities” as well as Laquan McDonald. Bill Daley also noted the strained relationship between law enforcement and the public it serves. 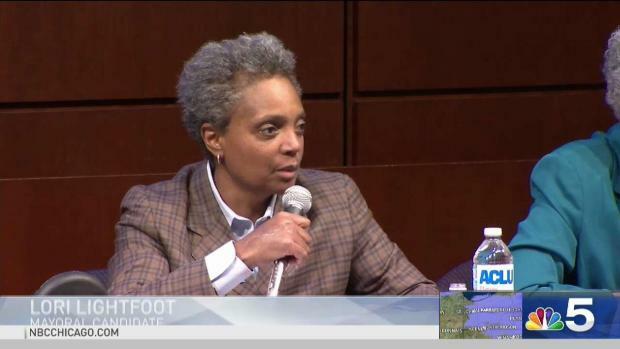 Lori Lightfoot said she was saddened and frustrated by the sentence. "Judge Gaughan’s sentence of 81 months for the murder of Laquan McDonald is a supreme disappointment," Lightfoot said. "While the judge gave a long oration on technical legal points, he failed to explain and justify this low sentence. Unfortunately, the lack of explanation will only fuel the perception and reality that police officers who commit crimes on duty, even murder, will not be held to the same standards as other defendants. We must continue our city’s long history of peaceful protest—protest that brought this case to light in the first place—as we continue to fight for justice."